Niche just got back from her honeymoon, but is not feeling well. Please pray for a quick recovery. Although he is only four months old, he just underwent his 7th surgery and apparently his vision is gone. He has additional serious complications. We must continually pray for the life of this child and for his family. Also, his little 6-year old brother, loves Riker and he is sad. 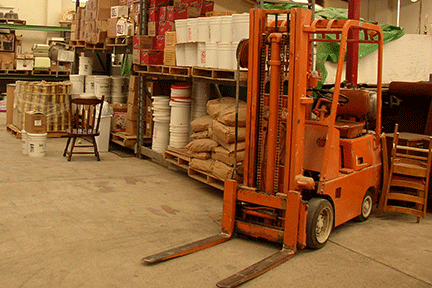 We have received $5,000 toward the purchase of a fork lift to be used in the warehouse at the Baja Mission. The total cost is $8,000, so the remaining balance needed is $3,000. Please continue to pray. Send gifts designated for fork lift or make an online donation by clicking this link. Charla will be speaking at South Shores Church in Dana Point, CA, (32712 Crown Valley Parkway) on Thursday, February 9th 11:00 am. For more information, call Diane at (949) 715-4727. Our Oaxaca Mission has requested prayer for the following: Please pray for the people of Guadalupe Victoria who had to flee their homes due to violence in their village. We ministered to over 615 people who fled their hometown to San Pedro Ocotepec. We took a truckload of food to them, thanks to a generous donation by the Wainwright Church in Canada. Please pray for the health of the children and staff here at the home in Oaxaca. Many have been struggling with various forms of illnesses. Don't forget our prayer group dinner February 3rd at 6:00 pm at Lutheran Church of The Cross. Our dear friend, Jan Holter, will lead a sing along. She is the best! You are invited to share a 5-7-minute testimony of what God is doing. Members of our Board of Directors will join us. Please call in before noon, Wednesday, February 1st to make a reservation. Thank you.